Looking back on 2008, how was business? Can you pinpoint any highlights from the past year? Despite all the media doom and gloom and the various challenges we faced during the year – such as the price increases from our suppliers at the start of the year due to raw material costs, followed later in the year by the collapse of the pound – we enjoyed much better sales growth than we’d budgeted. That’s something that continued the trend of the previous two years. There were lots of highlights for 2008, but from a sponsorship point of view, Rachel and Gee Atherton winning the World Championships and Chris Newton winning a bronze medal in China are certainly right up there and I was gutted for Shanaze Reade. From a business point of view, Icebike was certainly one of the highlights, as well as our first time presence at the London Cycle Show. We also added some great brands to our portfolio such as Garmin, Thule, OGIO, Giro Eyewear, Monster Energy, Wheels Manufacturing, Gamut and of course the recent acquisition of the Saracen brand. I went to visit Shimano in Japan a couple of times this year and both times have been fantastic experiences and the Shimano business is simply awesome – they are at the top of their game at the moment. Madison appears to have had a strong year in terms of expansion wise. Is there room for similar growth next year? Madison has nearly doubled in size in the last three years, but I am sure 2009 will be a challenge and we can’t expect our industry to be immune from what is happening all around us. As a company we are very optimistic about the outlook and all sales trends remain very positive. We will be very cautious this year as that is the only sensible plan of action. I guess it all depends on the depth of the recession and the big concern is overall loss of jobs in the UK and the consumer’s ability to spend money on anything other than essentials. I wish I had the answer. For every negative about the current economic crisis, I could try to match each with a positive as to why our industry could do well. But, I guess, only time will tell. The question every retailer wants an answer to: how to get hold of a Monster fridge? It’s really simple, just purchase ten cases in one go of any flavour combination you want and we’ll send you a fridge. And as to how the brand is going, well, the clue is in the name – Monster! Are you finding much crossover from the motoX side of the business – Leatt Brace for example? Clearly not all brands crossover, but certainly when looking for new brands to distribute this is a major consideration. Thor, Monster and OGIO are the key crossover brands, although demand for Leatt Brace within the cycle market is still pretty minimal at the moment. For winter 2009, we are also the exclusive distributor for Giro snow helmets and goggles. We have crossover products suitable for the snow market too. While Madison is first and foremost a bicycle business – and always will be –we are creating a strong portfolio of action sports brands, as in many cases we are ultimately dealing with the same end consumer. What criteria must a dealer meet to open a Madison account? Any bona fide bicycle retailer can have an account with Madison. What, if anything, is causing the business the greatest concern at present? I don’t think there can be a business manager in this country who is not concerned about the current economic crisis and what impact it could potentially have if it deepens. But other than this, I guess my concern is about the ability of the cycle market to handle the recent price increases because of the currency and what effect this may have on the sales mix of product. Judging the right amount of stock is also a concern. Will we have too much or too little? To be honest, that’s the same concern throughout every year. Has anything surprised you in terms of sell-through over the past year? And could you pick a product you will watch with interest this year? Garmin proved to be an absolute star in 2008. It caused quite a stir on the BikeBiz forum at the time, but it goes to show that despite Garmin being a product available from many sources, the IBD can still compete and flourish if the proposition is right. A project close to my heart is the all-new Madison clothing which we are launching at Icebike. This range has been in development for over a year and stock is finally arriving in early February. The focus for the range is for people who ride bikes but don’t necessarily consider themselves to be cyclists. The range is very technical with some subtle cycle specific features but looks as good when worn off the bike as it does worn on the bike. We have also spent the last year developing the new Madison B2B website – which we’re launching at Icebike. We believe it will seriously raise the bar for B2B in the cycle industry. Ultimate Pursuits will be laid to rest this spring and Madison.co.uk will be the new replacement. I am pretty excited about that. Must dealers pay on a pro-forma basis, or can credit schemes be made available? Most customers at Madison have a credit account and this is our preferred payment method, although all customers usually start their account with Madison on pro-forma and then move to a credit account once the relationship is established. Madison’s complete bike range has a reputation for being reliable, with few warranty issues – but when they do occur, how efficiently are they dealt with? It hasn’t always been like that and from time to time things still do go wrong –bicycles are machines after all. Our bike brands are designed by experienced staff who live and breathe bicycles, plus we do a lot of thorough testing. Madison is full of mad keen cyclists and they are constantly out riding prototypes at the weekend and evenings. We make use of the Shimano systems engineering to ensure good transmission and trouble free set-up for the IBD. While we could definitely make more profit by cutting corners here and there we don’t want to compromise the quality. After-sales service is also key and we run a good team of qualified mechanics within our warranty department. They, in turn, are backed up by our customer care team. We do all we can to resolve issues quickly and for many years now we have offered carriage free shipping of any service spare for any brand we carry. We also hold a phenomenal stock of spares so there is a really good chance we can get a problem solved promptly. How many staff/sales reps do you employ? We currently employ 150 staff and during the summer we usually bring in some additional fixed contract staff to cope with the demands of distribution. On the road we have 12 Shimano and accessory account managers, plus a further three for bicycles, plus six staff in telesales. We also have three account managers looking after the powersports accounts and three for snowsports. 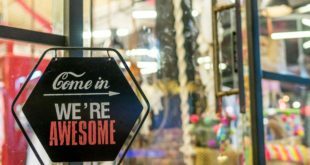 Are you seeking dealers for anything in particular? We want to deal with all bona fidecycle retailers, so we would encourage any retailers out there who do not have a Madison account to get in contact. In the case of our bike brands we often have opportunities for new dealers and, again, if you are interested then please either contact your account manager or simply give us a call. Can you tell us a bit about your support of the Aylesbury Training Group? 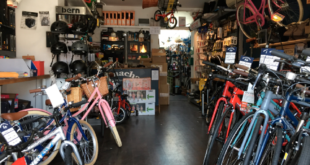 Madison knows that technical training is a critical element within the service offering of all good bike shops and the method of delivery is always the toughest part to organise. Our investment in training is there to back up the day-to-day needs of our customers and the industry to easily access good quality training and technical information. Through our investment we have sponsored and continue to sponsor the ATG as they have proven themselves to be a solid and professional training outfit with a core group of people who understand and enthuse about our industry while complementing this with firm teaching skills. With two static training centres in Aylesbury and Manchester, plus a mobile training centre currently based in Wales, the ATG’s training potential continues to be the best available in the whole country. Can you tell us about your marketing plans for 2009? We are really delighted to have secured the Athertons for another three years with Shimano and Commencal and look forward to more success from this talented family. New for 2009 is the Plowman Craven Madison.co.uk road team riding Cervelo and Shimano and we continue our sponsorship of the successful Rapha Condor team. Icebike will be bigger and better this year and we will also be at the London Cycle Show again in October. We have a very full marketing agenda in 2009 of events and shows, but I don’t want to give too much away. So you’ll have to wait and see.